Heat gas or charcoal grill. 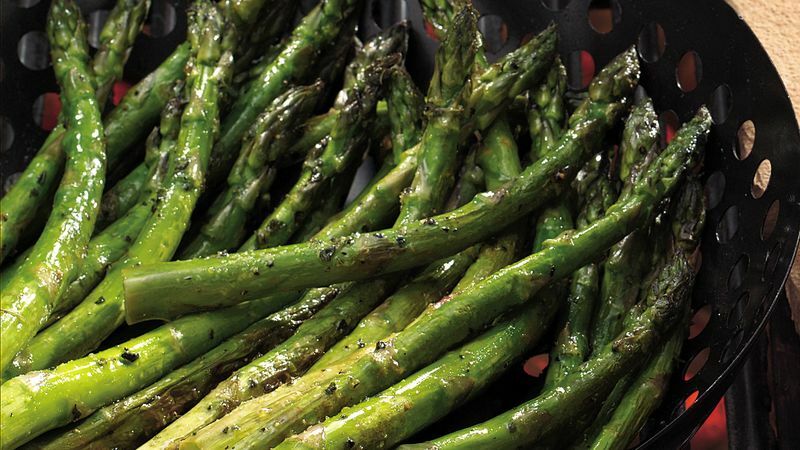 In large shallow dish or pan, combine all ingredients except asparagus; mix well. Add asparagus; turn to coat. Place asparagus in grill basket (grill "wok"). When grill is heated, place grill basket on gas grill over medium heat or on charcoal grill 4 to 6 inches from medium coals. Cook 6 to 9 minutes or until asparagus is tender, shaking grill basket occasionally to turn asparagus.